The first time Don Wright Jr., bought a medical marijuana card, he drove from Mammoth to LA, because he didn’t want his mom to find out. Mammoth to LA, because he didn’t want his mom to find out. He saw a doctor, who wrote him a prescription. She was professional. It was easy. Then, it was time to buy. 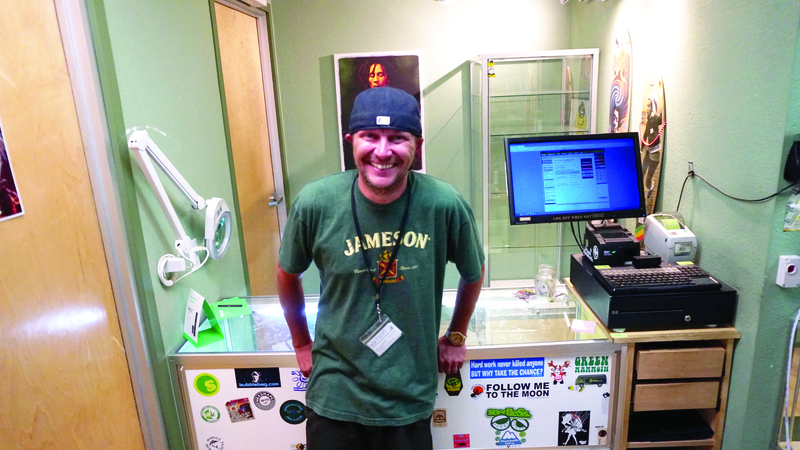 a dispensary they had heard about through word of mouth. Around four in the after- noon, they walked into an office building around and sidled up to the directory. They read the director, not knowing what name to look for. They needed a sign. They thanked him and hur- ried into the elevator. The guy who sold them the weed was really grumpy. Previous story LET’S PLAY SOME HOOPES!